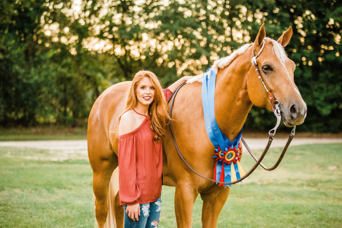 Being the All American Quarter Horse Queen is a great title to hold. The Queen Contest has been a tradition for almost 50 years. 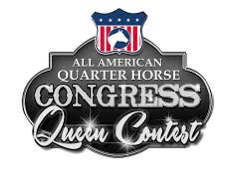 The Congress Queen represents OQHA, AQHA, and the equine industry as a whole. Horses have been in Allison Hinson’s life for as long as she can remember. The Monroe, North Carolina native started riding when she was five and had her first horse by age nine. Allison started off competing at open circuits and moved to local South Carolina Quarter Horse shows around 2011. Going to the SCQHA shows created friendships and gave her a glimpse of what being the Congress Queen entailed. The dream of having this role became a reality in June. 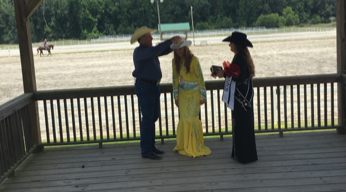 Allison was crowned the South Carolina Quarter Horse Queen. This was the first step to her goal of being the Congress Queen. 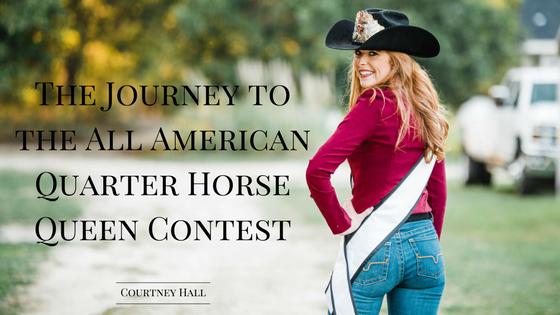 The test for becoming a state queen is very similar to how the contest is at the All American Quarter Horse Congress. Allison will be riding her own horse, TheseIronsAreStraight, for the Horsemanship portion. Dillon is a 16.3 hand four-year-old palomino AQHA gelding. Dillon became part of the family in March and they have become quite the team with PHBA World Champion titles and top ten placings at the NSBA World Show. Kimes Ranch Jeans are most definitely Allison’s favorite brand of jeans to wear in and out of the arena. 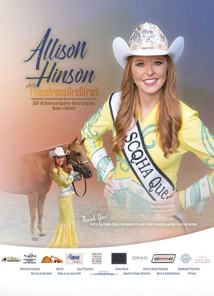 We wish Allison the best of luck and support her this week in the Congress Queen Contest. The rulebook test, interview, and horsemanship portion will all be taking place from Thursday until Saturday evening. The crowning will take place during the Freestyle Reining.